Life with Aspergers: Why are Schools so Unprepared for Autism? Why are Schools so Unprepared for Autism? In Australian news this week, there was a story about a school principal who was fired for attempting to use a cage to restrain a child on the autism spectrum who was experiencing meltdowns. You can read about that story here and here. There's a lot to be said about this situation but first things first; was the education minister right to fire that principal? While I hate to see anyone out of a job, my answer here is an unequivocal "yes!" First of all, any form of incarceration is a matter of human rights. You simply can't detain people, even if they're clearly in the wrong. When I was doing scouts we were told about a park ranger who caught someone defacing park property and detained the person on site. He (the park ranger) was arrested. If the matter of human rights is made clear to volunteer groups who look after children, then I'm pretty sure that we can expect it to have been covered many times during the syllabus of any degree or other qualification held by teaching staff. A school principal is generally expected to be among the more highly educated members of a school's teaching staff, so certainly they at least should be well aware of the situation. I don't have much to say on this matter other than the fact that the cage was built using $5,195 of school funds and for a single child. Apart from the fact that the principal didn't get approval to use those funds for that purpose, it also seems pretty clear to me that if you were going to spend that much on a single child, you could invest in a wiser choice of educational tool. In fact, with school expenditure so tight, a principal is expected to be very certain before committing to an amount of that nature. For me, the biggest failure was the failure to use resources which were apparently readily available. A report on the incident "notes that support services are available to schools, including behaviour specialists and counsellors, but the principal did not make a request for such assistance before the 'inappropriate' structure was installed". If you've met one person with autism, then you've met ONE person with autism. People with autism are individuals FIRST and "autistic" second. Their many differences make it impossible to use a single theory or working practice to address all of their needs and quirks. The best that you can do is try a common therapy and if that fails, try a different one. Sometimes when a person with autism exhibits a particular set of behaviours, such as a meltdown, they can present as "dangerous". Sometimes they really are dangerous but most of the time, if given appropriate space, they can calm down. Over time, with care, most people with autism can learn to control these meltdowns -- or at least reduce their severity. 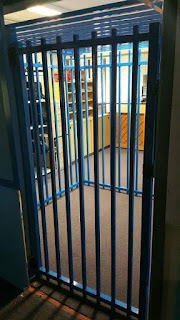 I'm sure that the principal of the school in question had a reason for thinking that the cage might work but such an idea is easily trialled with a single room. If placing the subject of the meltdown into an empty (of other people) room did not quell the meltdown, then it's unlikely that a cage will succeed. More importantly though radical and dangerous new therapies should not be tried without appropriate expertise. If the school had support services available, they should have been consulted. It's likely that they could have prevented both the trauma and the expense. If in doubt, call in the experts. When it comes to autism, money spent on appropriate personnel is far more valuable than money spent on equipment. Although they made it clear that there was a special needs taskforce which was ignored by the principal, I believe that it's simply not enough. There really needs to be local and roving resources with lots of experience with autism who can be called at a moment's notice to deal with problems which are too far outside of the experience of normal teaching staff. Meltdowns are something that really needs to be handled by very experienced personnel. In addition, the taskforce should be given the job of looking over and approving modifications for students with special needs. It should not be possible for teaching staff to design and implement their own solutions without an independent review. Not only will this prevent "crazy solutions" such as cells, but it may help to "socialise" clever solutions to allow good ideas to benefit more than one school. Let's hope that nothing like this happens again.... of course the reality is that it's only a matter of time. The cage is definitely alarming. But most schools for children with any special needs have a time-out room which they do lock children into. 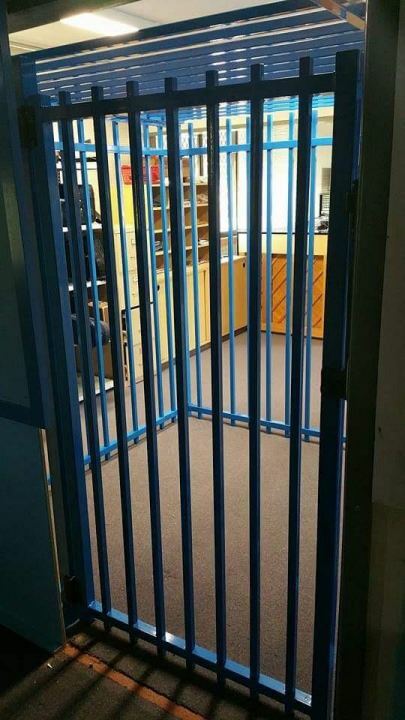 I don't know what caused the principal to think of being locked into a cage with bars would be calming for children! Are schools prepared for children who are different from what the teachers and staff expected? My limited experience indicates they are not: my son started to read before he started kindergarden. His first grade teacher assigned him to the non-reading group because he "turned the pages so fast" (She missed that he could tell time as well) My daughter got into some hassle with another staffer because she never learned to read aloud smoothly. (None of the children in her first grade class could read aloud smoothly, although all read silently with skill. But by the time the hassle arose we were in a different district and the information was not sent there) I could have explained the situation if anyone asked me, but nobody at either school bothered. Years later I was helping a neighbor with some sewing and realized she had trouble listening to my words while watching my demonstration. No wonder she had trouble in school! There are many things schools can provide children with autism, to overcome their challenges. It should be the responsibility of every learning school for autistic children to look after the autistic child and their efforts can make life easier of every child with autism. I agree with you James. There are really a lot of things schools can offer to children with special needs specially if the school is dedicated for children with special needs.